Important update: Dr. Vyas has published her findings in the International Journal of Strategic Management. The article can be retrieved here. What is the connection between a leader’s emotional intelligence and how engaged their employees are? A new study by Dr. Ekta Vyas establishes that healthcare leaders’ emotional intelligence predicts their performance outcomes, which positively and significantly predict their staff’s work engagement behaviors. According to Vyas, the healthcare industry of the 21st century is going through major changes in healthcare delivery and the need for leaders to collaborate across disciplines, sectors, and organizations has never been stronger. So, too, she says, is the need to develop a new capacity among healthcare leaders to inspire and engage front-line staff. To do this, Vyas maintains that leaders will need to consciously remove blind spots and facilitate an ongoing, dynamic learning environment in this emerging future. 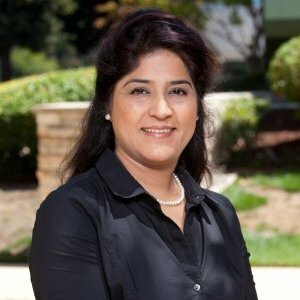 Dr. Vyas, who is Human Resources Director at Stanford’s Lucile Packard Children’s Hospital, and a certified SEI assessor, conducted her PhD research on the correlation between healthcare leaders’ EQ and staff work engagement. Emotional intelligence is acknowledged as a necessary ingredient in transformational leadership, but little research exists that ties leader EQ to performance outcomes and staff engagement. Vyas’ research utilized Six Seconds’ EQ model and SEI assessment to measure EQ competencies and performance outcomes, as well as a standardized tool to measure staff work engagement. Positive correlation was found in all dimensions when comparing leader performance outcomes to staff engagement. Statistically significant correlations were found with respect to 10 of 28 comparisons in the dimensions of decision-making, effectiveness, and relationships, as well as overall outcomes. EQ competencies correlated significantly with all performance outcomes, indicating strong predictive value: EQ influences leader performance outcomes, which influence staff work engagement. Leaders in the study showed average self-impression scores, indicating that they did not unrealistically inflate their EQ competencies. The large sample size supports the broader applicability of the findings to other healthcare settings. The findings suggest that implementing an assessment-based measure of EQ can provide the insight to introduce innovative and targeted leadership development programs that will enhance leader EQ and performance outcomes and improve staff engagement during times of transformational change. Dr. Vyas’ dissertation is available through ProQuest here. I am finding the need for emotional intelligence in healthcare to be increasing exponentially. In order to increase engagement, satisfaction and performance in times of change, the stakeholders and leaders must understand the emotional factors that are the drivers of positive change. Thanks, Paul, for writing this. Michele – maybe the increasing complexity of healthcare is one reason for this need? So many systems, so many different people, so many balls to juggle — without EQ, easy to lose the “Care” part of healthcare!